Can anyone tell me the pro's and con's of Embarking early. This will be my 2nd cruise, my 1st one was in 2009, so a lot of time has passed by. I am traveling with 3 kids ages 11,13 and 20, and my 70 year old father. I am torn between staying in Orlando or near the Port. We will be using the Snooze and Cruise, if we stay in Orlando we have options of times we can be picked up and dropped off , if we stay close to the port we have only 1 option of the time we can be picked up and its quite early. Im guessing if we opt for the early shuttle we will be embarking early to the ship, and I would like to know what are the benefits to embarking early, other than waiting in long lines. What can we do on the ship if we are on early and how soon will we be allowed in our rooms? Some bars, pools, Windjammer will be open - rooms are ready usually by 1:00. 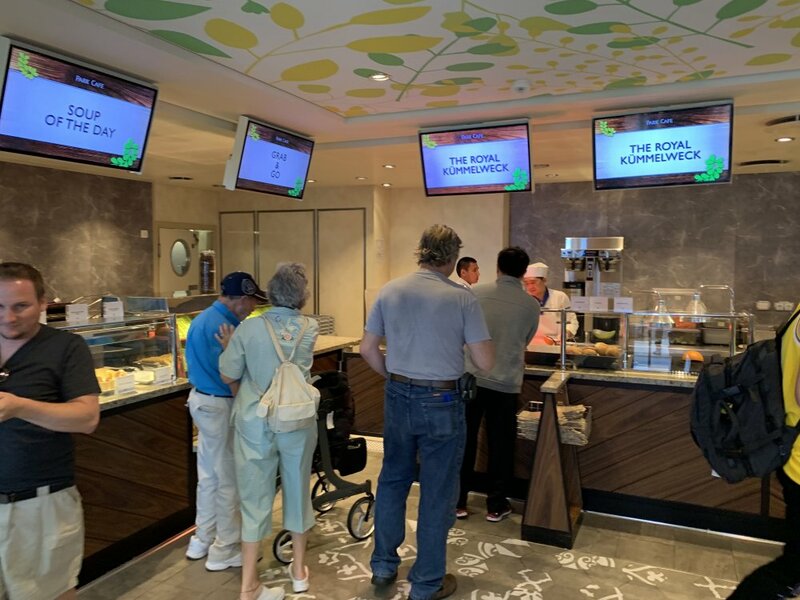 It gives you a chance to grab something to eat before the crowds get heavy, to explore the ship a bit before there are a lot of people on board. You're going to wait somewhere - why not the ship? I like to start my cruise ASAP! The kids would probably rather hang out by the pool rather than in a hotel room, I reckon - just bring their suits in a small carry on so you don't have to wait for your luggage to be delivered. And have a great time! I typically stay in the Orlando area simply for the cheaper hotel options. Getting over to Port Canaveral in the morning is easy with different options. Embarking early just maximizes your time on board. Lunch is typically available around 11:30am so that's one less meal to pay for. You can start to explore the ship before cabins open at 1pm. If you time it right you beat the peak line 11am to 1pm in the terminal. With kids and a senior arriving during peak can be tough - lines and standing. If you don't feel like going early (10am ish) then go after 1pm or 1:30pm to let the lines settle down some. There will still be lines, just not as many, hopefully. 1. You start your vacation early! 2. Shopping and the casino are closed until you reach international waters. If you're looking to get your shopping on immediately or get to gambling, you'll be disappointed. 4. Limited services available at the spa. 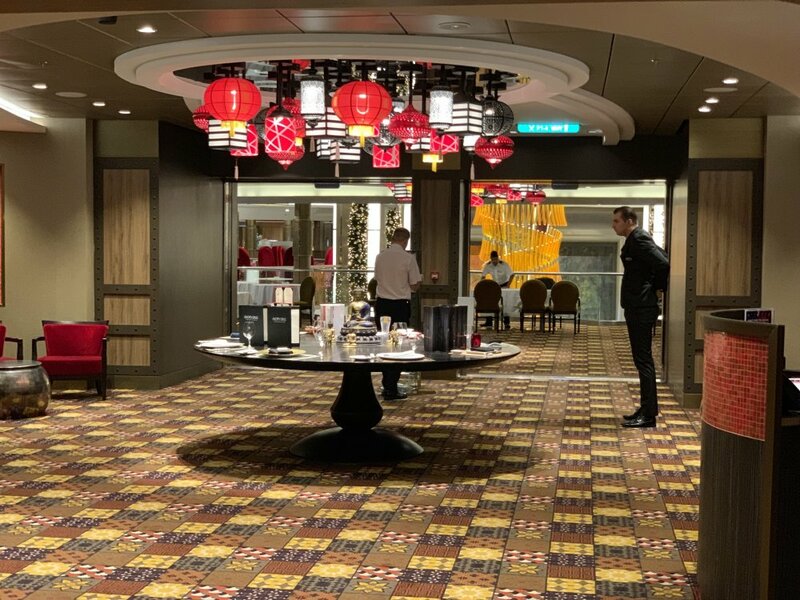 They are likely still turning over the spa from the previous sailing immediately at early embarkation and staff will likely be selling services for the duration of the cruise. 5. Few organized activities during embarkation. There is music to listen to, but shows or trivia or lectures, etc, will likely be after departure. Embarkation usually starts around 10am (ish) and rooms arent ready until usually 1pm (ish) and your luggage makes it to your stateroom normally by 7pm (ish) So if your shuttle puts you any earlier than 10 at the terminal, you'll likely be waiting around the terminal to even embark, and then waiting 3 hours until you can go to your stateroom. I'm personally a fan of early embarkation because I like enjoying a day drinking cocktail while listening to music and people watching followed by a walkthrough of the ship and then light grub at the windjammer, but not everyone enjoys a cocktail and can self amuse by just music and people watching. Others enjoy getting their grub on at the windjammer, others avoid the windjammer like the plague upon embarkation (it gets rather busy) Some will be seen swimming when its warm, others or when its chillier wont be anywhere near the pool. Share with us which ship you're going on, and where you're going! We live through each other's experiences here! I am going on Harmony of the Seas in July...we are going to Labadee , San Juan and St Marteen, im super excited to be going on this when the time come, thanks so much for your information. The primary advantage of getting to the port early is to get your vacation started earlier. 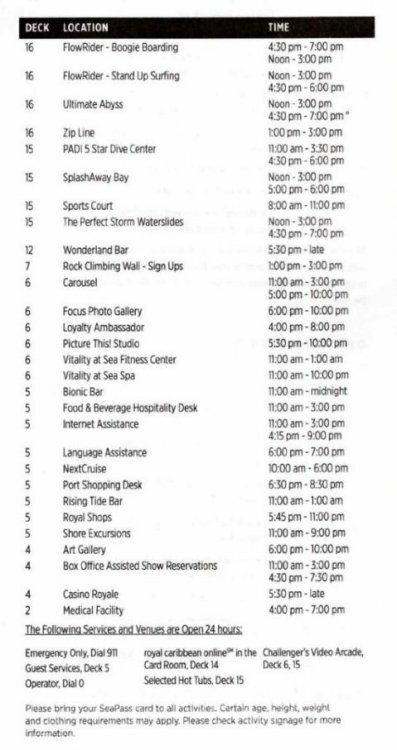 The cruise fare you paid is the same whether you board at 11am or 2pm. May as well board at 11! Harmony is a big ship. Haven't sailed on her myself, but saw her in port when I sailed on Freedom and she made my ship look positively small! I love getting on the ship early. Since you have kids, pack or have them where there swimsuits and enjoy the pools as no one will be in them. +1 for getting on ASAP. The hotel is not that interesting. And like @Matt said, you paid for it, go enjoy it. Definitely agree with @JLMoran, we were on Harmony in December and the biggest advantage of getting on early (we were on board before 11) was exploring the ship when it was empty to get our bearings. Also, other options other than the windjammer will be open, head to Park Cafe in Central Park as most people don’t head there. And if you have any dining reservations to make, getting on early means you get first choice. Right as you board head right and there’s usually a table setup with staff making specialty dining reservations. +2, get something to eat and explore, like @JLMoran says it is a big ship, you can't possibly see everything but I usually try. I just finished my 3rd cruise on Allure, and I'm thinking that is a sweet spot for me knowing where everything is and how to get to them, that is until she goes in dry dock, then I'll have to re-explore her again. We always board early! Love getting to enjoy the ship a bit while it's empty and relax before muster drill. To me, the biggest advantage of early arrival is to minimize the odds that a crazy event like a flat tire might cause me to miss the boat literally. The biggest disadvantage is having to carry your stuff around. Come to think of it, I think that's the ONLY disadvantage. I concede that the room is not yet ready and a lot of the activities are closed, but that is no worse than whatever other stuff you might have been doing for the morning after leaving your hotel. And if you pack smart and get your stuff into a carry-on that has wheels, even that might not be such a big deal. If you can , just pack swim clothes and stuff you’d need in a backpack rather than a carry on suitcase. It’s much easier to explore just carrying a bag. If you purchased the BOGO dining package, visit any specialty dining venue so you can get first dibs on dining times/venues. After lunch, hit the pool deck with a drink or take a nap before muster drill because who really gets good sleep the night before a cruise????? Personally I like to get on the as soon as possible. I’d rather be onboard early to avoid the heavier queues later in the day, plus it gives you time to explore if it’s a new ship for you. Then there’s the Windjammer for early lunch before it gets rammed. I’m also one to get off at the earliest opportunity when the ship docks at the end of the cruise, again to avoid the stampede of feet and suitcases. Since you will be on an Oasis class ship I would board early. Pack swimsuits for you in carry on. I avoided the crowds at the windjammer and ate at Park Café one time and at the Solarium on another. Much less crowded. Also explore the ship if you want. Check out the Promenade, Boardwalk, Central Park. I would like to piggyback on the Original posters questions. What time do the slides normally open during embarkation day? If we get there at 10a are they normally open around then or soon thereafter? You won't be on the ship at 10am, but let's say you do board at 11am.